This entry was posted in LIS Staff Interest and tagged computers, recycling, reusing, technology on October 27, 2010 by Doreen Bernier. How do you type á, é, í, ó, ú? See the Tech HelpDesk guide called Foreign Language Input and Support for keyboard shortcuts and configuration instructions for Microsoft Word and Windows XP. This entry was posted in LIS Staff Interest and tagged computers, eNewsletter on July 1, 2010 by Carrie Macfarlane. In October, we set up a poster asking for feedback on the Music Library as a physical space. We received many excellent comments. We’ve reproduced these below, along with some of our thoughts about them. We agree! We’ll be looking for ways to brighten it up. 2b. Why is it so COLD in here? 2c. Seriously it is way too COLD in here!!! Unfortunately, the temperature of the library is not something we have control over. However, we will take these comments to the building manager for the CFA. Your wish is our command! Well, okay, not all the time… but in this case it is! We have this now. 4a. Some of the headphones need attention. There’s static in the sound, and they often only play on one side. Thanks for bringing this to our attention. We’ll check it out. It could either be a problem with the phones or the pots on the equipment could need cleaning. 5a. Big blue chairs like Armstrong but also connected to CD, DVD players, headphones, etc. One of the things we’d like to do is provide more flexibility and comfort in the listening areas, and comfy new chairs (and maybe even couches!) are part of that plan. Unfortunately, the College, like the rest of the country, is currently experiencing difficult times economically, but we’ll continue to work on this. 6. Larger Browsing section; bring back staff picks table; ability to browse older CDs. We have brought back the staff picks section, now located near the reference area. We’re glad you like this. Everyone who works in the Music Library is an avid listener as well, so it’s great for us to have the chance to share some of our favorite music with all of you! As far as the browsing selections: unfortunately, we’re somewhat limited by space, but, even more, it takes a fair amount of time to maintain the browsing section and cycle materials in and out. (As I’m sure you’ve noticed, things get out of order there pretty rapidly as it is…) Ideally, all of the CDs would be browsable, but that’s not simply not feasible given the way our space is set up. You can use MIDCAT to browse CDs online however – ask one of the Music Library staff to show you how to do this. – although we realize it’s not quite the same thing. 7. More carrels would be great. – Noted. We’ll bear this in mind as we plan our renovation. 8a. Vending machine (beverages) please! 8d. Please! We need caffeine! We agree! We’ll see what we can do. We’ve been trying to get a vending machine in the CFA for years, but the CFA is a shared space and other residents of the building have voiced some concerns. We’ll keep trying! 9. 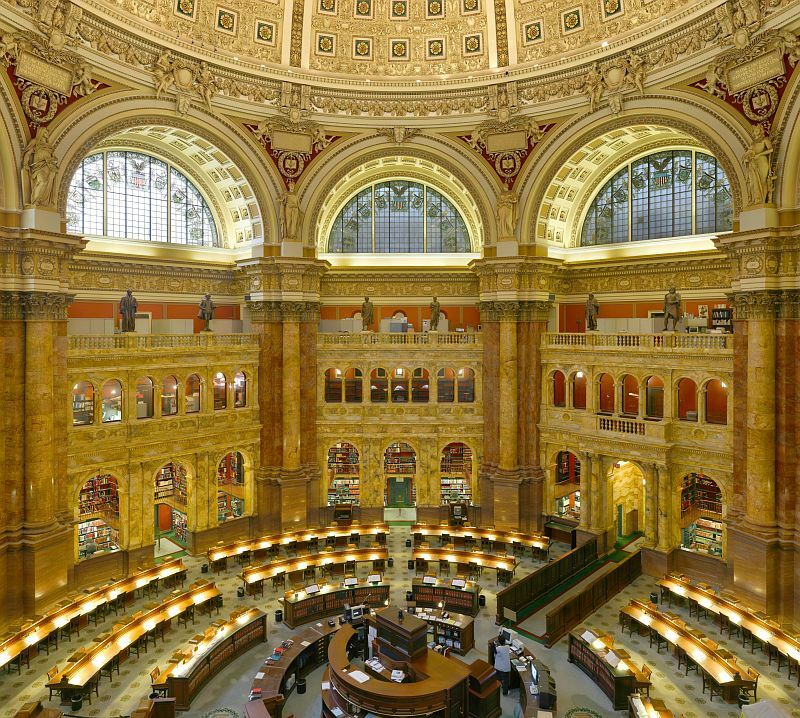 (Re: photo of colorful library): This is beautiful! Is there money for this kind of renovation? The colors are soothing, good for a library! Opinion seems to be divided on the table issue. Though we’re not sure yet exactly what it will look like, we do plan on having some space available for group study. 15. Computer stations are ugly and impractical. We agree 100%! We’ll be investigating ways to make the space more open and attractive, while still retaining privacy and quiet spaces to work. 17a. Take staircase out of the library and make access to the second floor classroom from the door on the 2nd floor! DUH! Okay, we’ll get right on this! Actually, the staff have discussed this, and we’d love to see this happen, for all sorts of reasons. However, as you might imagine, it’s not a trivial endeavor, since the staircase inside the library is connected to the staircase outside the library. 18. (Re: space to use laptops and spread out work? ): Yes, and get Ethernet cords! Yes, tables and workspace to use spreadout, use laptops, etc. would be great. We have added Ethernet cords for borrowing. They’re located next to the printer. 19b. 2nd! More ZEN. That’d rock. Beanbag chairs, even. Macs are definitely part of the plan. This entry was posted in LIS Staff Interest and tagged browsing, chairs, computers, Feedback, furniture, Music Library, On that note, poster, Space/Facilities on November 13, 2008 by Terry Simpkins.